Al-sidq al-sarih - they say this means a genuine belief in the khususiyyah of your Shaykh. They say the student's grasp of the secret of his Shaykh depends on the degree of his sincere belief in him. There is no progress in the tariq without this properly considered and properly thought-out perception of one's Shaykh. Raf' al-himmah - This means more "highness of one's goal or aim" as opposed to "lower aims". The aim of the murid should be focused on knowledge of Allah rather than achieving worldly dreams or other purposes. Nufudh al-'azimah - Determination to attain fulfilment. May I start by asking Allah Ta’ala to guard me and you – and all brothers – against any form of partisanship in the name of anything other than Islam, the deen of Allah as brought by our noble Prophet Muhammad (sallallahu ‘alaihi wa sallam). It is indeed very interesting that a Muslim should always remain a Muslim and should strive, as much as possible, to be free from being partisan except for the name of Islam and the teachings of the Prophet (sallallahu ‘alaihi wa sallam). While this is a fundamental truth, it is equally important to bear in mind that when one is a Muslim, he cannot free himself from being against what is unIslamic and in contradiction to the teachings of the Rasul (sallallahu ‘alaihi wa sallam). That is because Islam and indeed the whole teachings and life of the Prophet (sallallahu ‘alaihi wa sallam) are no more obscure, neither are they mysterious. The deen of Allah has been completed before the Prophet (sallallahu ‘alaihi wa sallam) left this world, and all these are found in the Qur’an and the authentic sunnah of the Prophet. But it is not a hidden fact that the Ummah has been divided into groups and sects, each has formulated for itself either sets of beliefs or different phases of ibadaat, and each claiming what he practises to be in line with the teachings of the Prophet (sallallahu ‘alaihi wa sallam), for no Muslim will admit that he professes something that negates his teachings. We are therefore left with the question: how do we ascertain what is in line with the teachings of the Prophet in order to differentiate it from what is against it? Here comes the issue of the fundamental yardstick with which to carry out this important task, that is the Qur’an and the Sunnah (sayings, deeds, and implied approvals) of the Prophet (sallallahu ‘alaihi wa sallam) based on the understanding of those pious and noble companions. This is another vital aspect of understanding the teachings of the Prophet (sallallahu ‘alaihi wa sallam). That is because the companions who lived with him and witnessed the Qur’an being revealed to him, were the direct and immediate subjects of his teachings, the students who received his lessons and understood and practised it in the way and manner ordered and desired by Allah Ta’ala. Any mistake on their part in the course of practising any injunction is redressed immediately by ‘Wahy’. This is why it is of fundamental importance to believe that the Islam practised by the Sahabah is the best as it conforms with and reflects the true teachings of the Rasul and affirms that the Prophet (sallallahu ‘alaihi wa sallam) really taught them what Allah ordered and that he was the best of all teachers, the most successful instructor able to bring forth a generation which was able to change and influence the whole world within a period of less than twenty years from his death. It is in the light of the above that Islam frowns at anything new and not known to be part of it in the days of the Prophet as an aspect or pattern of worship through which the pleasure of Allah is sought. On a more specific note, upholding the view that one does not belong to any group, is a fact very necessary and rational, if by that, he means he will not belong to any group in a sort of blind way as to believe that anything not upheld by that group is false. But if dissociating one’s self with any group means he will focus on any matter regarding religion from a neutral point of view without sticking to a specific Islamic principle based on the supremacy of the Qur’an and Sunnah and the practice of the pious predecessors, then this is surely anything but right. What Islam requires from his subjects is that the virtue or otherwise of anything, anyone or any group is measured by that person’s or group’s conformity with Islam and its teachings. One must believe that Islam is the only religion accepted by Allah, the most pure, absolute and not relative truth, the best value system suitable to mankind and the most accurate way of life that guides to every goodness in this world and in the hereafter. Any good thing found in any other way not Islam is found in Islam and more, so we may praise that way or path for being in line with what Islam taught, but not for containing something Islam fails to attain. That is why when the Prophet (sallallahu ‘alaihi wa sallam) saw Umar ibn al-Khattab (radiyallahu ‘anhu) with some papers he got from a Jew, and read it to the Prophet (sallallahu ‘alaihi wa sallam), the Prophet was outraged and immediately rebuked him and said: ((…I have indeed brought it (this deen and path) to you so clean and neat…I swear by Him in whose Hand is my life, Had Musa been alive it wouldn’t be allowed for him but to follow me) – Ahmad 3/387, Darimi 1/115, Ibn Abi Shai’bah No. (26421) and others. Its isnad is Hasan. So the fact that the Shi’ites, for example, called on all Muslims to rise against America or its values, is not because that is part of the Shi’ii creed independent of other Muslims and that you can not find same with any other groups of the Muslims. Rather it is Islam that calls upon all Muslims not to take the non-believers as friends, and the failure of other groups to make such calls does not mean they do not have that in their set of beliefs. Secondly the issue of a write-up being balanced, differs relatively from one subject to another just as it differs from the writer’s ideological background. After all, in Islam what is known to be hailed most when speaking or writing about others, is that one should be just and should not ascribe anything contrary to the reality of the person or topic he discusses. But if what is meant by being balanced is that one must appear or sound neutral, or that when he presents an opposing view he must necessarily give the proposing view, I beg to assert that this is not a general principle in Islam, although it is allowed if one will later on specify the correct path so as not to leave people in the dark, thereby implying that all is one and same. In the same vein, if I am asked about Christianity, for instance, will I be charged with being unfair by pointing the Islamic view alone and stressing that it is a corrupted religion proscribed by Allah with the coming of Islam et cetera. That is why I am more surprised after reading M. Halilu’s introduction to the response he posted on Hijazi’s article, calling for non-partisanship, to find the writer of the response a Sufi and his response so ‘imbalance’ in the sense that he made some unfounded charges against Hijazi just by way of reading his mind under the pretense of reading between the lines. This issue of balance and imbalance and the issue of some ‘Sheiks’ lacking in da’wah methodology as cast on this forum from time to time are of course topics that need to be discussed in a more detailed manner. May Allah spare us or other brothers the time to take it up. Fariduddien Rice, in his response to Yusuf Hijazi’s article, charges him of lying, relying on non-Muslim sources, failing to provide references to some of the issues he raised, condemning Muslims and attributing them to kufr and shirk, among other things. The piece I am writing will focus more on providing the sources and references Hijazi is charged of failing to give. This will also answer the charge of relying on non-Muslim sources, although most of Hijazi’s non-Muslim references appear to be connected with definitions of some terms. Other charges are mere personal attacks as can be seen clearly. As regards the origin of the word Sufi there are of course many differing views on that and the Sufis themselves are not in agreement. Affirming this, Al-Sahrawardi believes that the Sufis’ definition of the word are more than one thousand. (See: ‘Awariful Ma’aarif p. 54). Another Sufi claims there are about two thousand definitions of the word (See Tahir al-Hamidi’s introduction to al-Ta’arrufi Li Madhhabi Ahlit Tasawwuf, by Abubakr al-Kalaabaadhi, p. 11). I don’t think there is a word so ‘blessed’ with such number of meanings. 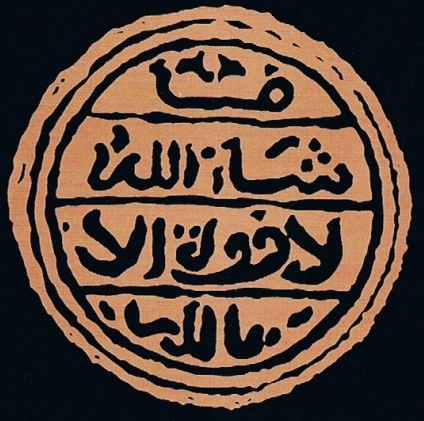 As for Ibn Taimiyyah’s position on Sufism, it is true that he praised some of the famous Shaikhs attributed to Sufism, but it is important to note that he did so not for the sake of Sufism as a thought, but because the works and deeds of those Shaikhs were in conformity with Islam and the teachings of the Prophet (sallallahu ‘alaihi wa sallam). This you will find most where he discusses the issue of ‘Wahdatul Wujud’ (Unity of Creation or union with the Creator, or the belief that everything is one and God in essence) and condemns its proponents. This ideology, according to them permits one to claim what they call ‘Raf’ut Takaaleef’ (free from obligations of observing the precepts of religion). It is at this stage the Sufi Sheikh declares his disciple free from obligations like observing the five daily prayers and the likes, an attitude worthy of condemnation. So when Ibn Taimiyyah, who is very conversant with the works of those famous Shaikhs like Ibrahim ibn Adham, Abu Salaiman al-Daaraanee, Junaid, Abdul Qadir Jailani and others, whom he knows to have been in compliance with the Qur’an and Sunnah, and calling their disciples to be upright in following the teachings of Islam and engaged themselves in ‘Amr bil Ma’roof wan Nahyu ‘anil Munkar’ (enjoining the good and forbidden the evil), he does not hesitate to dissociate them from the practices of Wahdatul Wujud’ and so he praises them based that. It is in this regard he says : “As for those who were firmly upon the Straight Path from amongst the Saalikin (disciples or followers of a spiritual path) like the majority of the shaykhs of the Salaf such as Fudayl bin ‘Iyaadh, Ibraheem bin Adham, Abu Sulaimaan ad-Daaraanee, Ma`roof al-Kharkee, as-Sari as-Saqatee, al-Junaid bin Muhammad, and others. Also such as Abdul Qaadir, Shaykh Hammaad, Shaikh Abu al-Bayaan and others from the later scholars. These people did not allow the ‘Saalik’ to depart from the commands and prohibitions of the Sharee`ah even if he were to walk on water or fly in the air! (i.e. in the name of Karamah). Rather they made it incumbent upon him to carry out what is commanded and leave off all whatever is prohibited until the time of his death. This is the truth which is proven by the Book, the Sunnah and the consensus of the Salaf”. (Majmu’ Fatawaa Ibn Taimiyyah vol. 10 p.516-517). It is at this stage the Sufi Sheikh declares his disciple free from obligations like observing the five daily prayers and the likes, an attitude worthy of condemnation. So when Ibn Taimiyyah, who is very conversant with the works of those famous Shaikhs like Ibrahim ibn Adham, Abu Salaiman al-Daaraanee, Junaid, Abdul Qadir Jailani and others, whom he knows to have been in compliance with the Qur’an and Sunnah, and calling their disciples to be upright in following the teachings of Islam and engaged themselves in ‘Amr bil Ma’roof wan Nahyu ‘anil Munkar’ (enjoining the good and forbidden the evil), he does not hesitate to dissociate them from the practices of Wahdatul Wujud’ and so he praises them based that. It is in this regard he says : “As for those who were firmly upon the Straight Path from amongst the Saalikin (disciples or followers of a spiritual path) like the majority of the shaykhs of the Salaf such as Fudayl bin ‘Iyaadh, Ibraheem bin Adham, Abu Sulaimaan ad-Daaraanee, Ma`roof al-Kharkee, as-Sari as-Saqatee, al-Junaid bin Muhammad, and others. Also such as Abdul Qaadir, Shaykh Hammaad, Shaikh Abu al-Bayaan and others from the later scholars. These people did not allow the ‘Saalik’ to depart from the commands and prohibitions of the Sharee`ah even if he were to walk on water or fly in the air! (i.e. in the name of Karamah). Rather they made it incumbent upon him to carry out what is commanded and leave off all whatever is prohibited until the time of his death. This is the truth which is proven by the Book, the Sunnah and the consensus of the Salaf”. (Majmu’ Fatawaa Ibn Taimiyyah vol. 10 p.516-517). It is therefore clear that Ibn Taimiyyah wishes to make a perfect distinction between the practice of those early men of Zuhd and piety and the practices of the later days Sufis. But Ibn Taimiyyah’s critique of Sufism as a thought and practice is what occupies much of his writings on the subject in his effort to dispel the fallacies that marred Islam in the name of Sufism, even though we find him giving excuses to some sufi practices particularly when the person involved is known to be steadfast in complying with the teachings of the Sunnah in general and only errs in that instance. As for Sufism being a conglomerate consisting of extracts from a multitude of other religions with which Sufis interacted, Fariduddien dismissed this claim on the ground that no reference was given by Hijazi and that this theory comes from non-Muslim orientalists. The fact is that the theory is indeed true and has been testified by more than one Muslim scholar or writer, Sufi and non-Sufi. The first person to link Sufism with a foreign religion was Muhammad ibn Ahmad Al-Bairuni (d. 440) in his book: ‘Tahqeeq Ma Lil Hindi Min Maquulatin Maqbulatin Fil ‘Aqli Au Mardhuulah’ where he outlined three aspects on which Sufism meets with Hindu philosophy and religion. (See the History of Islamic Sufism by Dr. Qasim Gani and the book Islamic Sufism by Dr. Taftazani. There is also a very strong relation between Sufism and Buddhism in many aspects. There is indeed a Phd. thesis on the subject titled: Buddhism – its History, Beliefs and Relationship with Sufism’ by Dr. Abdullah Mustapha Numsok, in the Islamic University of Madina. The author is now a member of the teaching staff in the Faculty of Islamic Studies in the University of Emir Sunklaa, in Fatani – Thailand. He has discussed this issue in a detailed and scholarly manner establishing the linkage and relationship between the two thoughts. In one of the examples he cited on discarding women and marriage he quoted what was reported from one Sufi Riyah ibn ‘Amr Al-Qaisi, that he said: “A person will not reach the level of Siddiqeen unless he leaves off his wife like a widow, and his sons like orphans and returns to the dwellings of dogs” (Al-Kawakibud Durriyyah 1/105-106). This statement is in line with what is reported from a Buddhist Saint, Shamana who says: “This stage of holiness (Arahat) is unattainable but by him who leaves off his house and endure the burden of leaving off his wife like a widow and his sons like orphans” (Lessons for the Saints p. 47). He further cited many examples in various aspects of the Buddhist and Sufi creeds, like the issue of seclusion, the doctrine of Fana’a (which the Buddhist call Nervana), ways of receiving and practising Dhikr and Wird, belief in the presence of the Sheikh or Saint at times of Dhikr, making dhikr in congregation and in one tone, the issue of Hulul (incarnation) which the Buddhists call (Awatar or Mahayan), wearing the Suuf (wool), wearing ragged clothes, encouraging destitution and begging (Almajiranci), unemployment in the name of religion etc. In fact the resemblances and relationship are too obvious to leave any doubt in the mind of the reader. In an abstract he gave in English at the end of the thesis, the writer concluded: “In my study, I also uncovered the relationship between Sufism and Buddhism as follows: …4) That it has been historically confirmed that Indian-Buddhist monks have influenced the emergence of the Sufi groups,marking their difference in looking at the Islamic view point of life. 5) The common elements between Sufism and Buddhism are: 1. Hulul or Samsara – transmigration of souls and 2. Nirvana or Fana – extinction requiring engaging in mental exercises and life practices such as giving up of property, marriage, observing of hunger, begging and giving up of the world and so on.” (Buddhism – Its History, Beliefs and Relationship with Sufism, Abstract p. 3-4).